We’re a little bit more than a fortnight away from Halloween 2018, so it’s time to head to Search for costume inspiration. 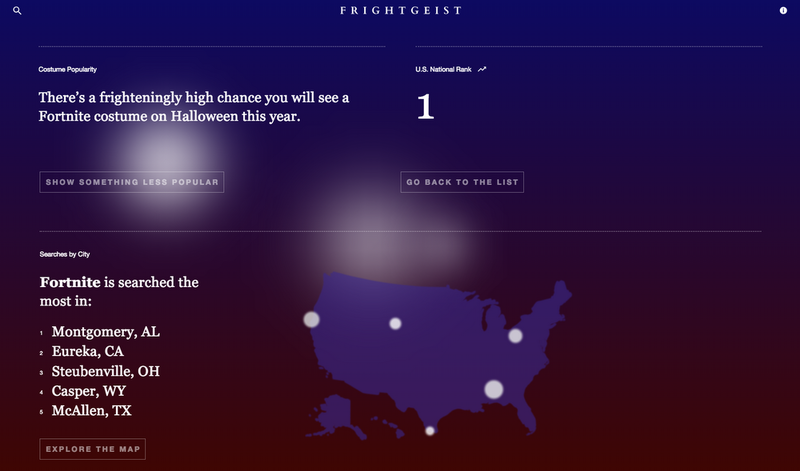 This year’s Frightgeist—brought to you by Google Trends—shows what’s brewing in the costume cauldron near you and in other hot spots across the country. If this sampling of scary isn’t what you had in mind to land your perfect Halloween look, head to the Costume Wizard fright now and amp up the spookiness or uniqueness to find the ghoulish get-up you desire. Have a gourd time this Halloween!